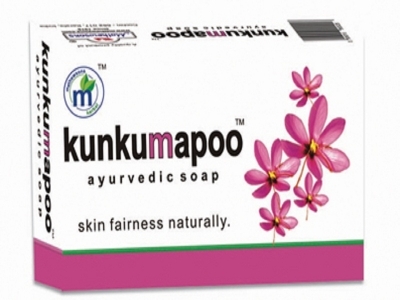 Kunkumapoo Ayurvedic Soap with the goodness of Kumkumam (Saffron), Ksheeram (Milk), Padmam (Lotus) and Thean (Honey) rejuvenates the dead cells and makes skin glow. 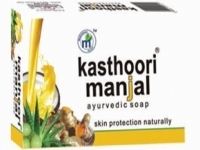 Known for its whitening and anti-oxidant properties Kumkumam (Saffron) helps the skin glow while milk and honey imparts smoothness which gives you a completely radiant complexion and enlightened skin. Give your skin a Herbal Treat this season!! !